Home / Blog / OUR JEWELS ON THE RED CARPET IN CANNES! OUR JEWELS ON THE RED CARPET IN CANNES! Congratulations to Annemarie Jacir on her awards at Cannes! 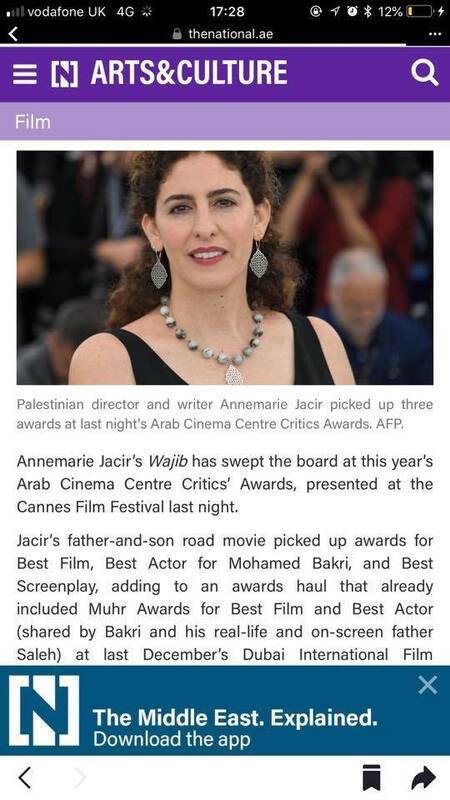 Annemarie Jacir's film WAJIB swept awards at the Arab Cinema Centre's Critics Award at the Cannes Film Festival: Best Film, Best Actor and Best Screenplay. Thank you Annemarie for choosing to wear our jewels on this very special occasion....!